Hear, hear, Audrey! I agree every woman should feel beautiful, but I also believe beauty shouldn’t break the bank. After all, those manicures and luxury lipsticks sure add up over time, and fitting beauty into your budget shouldn’t require a miracle. Most beauty products are made from the same types of ingredients, regardless of their manufacturers. This means many drugstore products are equivalent to department store products, and vice versa. Paying more often only buys you a brand name — not necessarily a superior product. While the ingredients might be similar, packaging makes a big difference — it has a huge impact on the product’s effectiveness over time. For example, squeezable tubes are better than jars for insulating ingredients against harmful elements. Choose tubes instead of jars to stretch your beauty bucks. If there’s a specific brand of makeup or personal care product you absolutely have to have, consider buying a discounted gift card for that store or product at a site like Raise. Maximize your savings by shopping for your products online using a rebate portal like Ebates. If your favorite companies have loyalty programs, make sure to sign up. In many cases, you will receive exclusive discounts and free store credit or bonus products as a frequent shopper. What seems like a hair care or beauty bargain at your local salon may not be a deal at all. Do some comparison shopping and check all stylist-recommended products for customer satisfaction ratings online before purchasing from your pro. In many cases, you’ll find something that does the same job as the product your stylist is peddling for significantly less cash. For example, discount website Hollar stocks a ton of beauty supplies from top brands, like Revlon, Kardashian Beauty, Neutrogena, Olay and more starting at $1. Purchasing everyday essentials like cotton balls, makeup remover pads, applicators, hair clips or bobby pins at a dollar store can save an average of 30-40% compared to buying those same items from a department or big box store. Instead of paying high prices at your normal hair salon, consider visiting a local beauty school for your (and your family’s) routine trims. Typically, you will save up to 50% off salon prices when you opt for a beauty school hairdo. Google “beauty school + [your town]” to find one near you. This is also a great way to get a special occasion ‘do at a fraction of the price. I went this route for my sister’s wedding and paid only a fraction of the $60+ my regular salon charges. Beauty Brands holds a “Liter Sale” once per year during which you can purchase liters of salon brand shampoos and conditioners for just $12.99. This is a great deal — in some cases, you’ll save over $40 per liter. Imagine the savings if you stocked up on enough shampoo and conditioner to last you an entire year, until the next Liter Sale. Beauty Brands holds their big sale around July. Philosophy also holds a Summer Sale during which you can save up to 50%. During the Bath & Body Works Semi-Annual Sale, it isn’t unusual to save up to 75% when you use coupons along with the sale prices. Almost every brand and online beauty merchant has one or two big sales each year. Mark these sales on your calendar and stock up for big savings. Also, summer is a great time to look for local sidewalk sales in your community. Save big as your mom-and-pop shops move last season’s inventory. 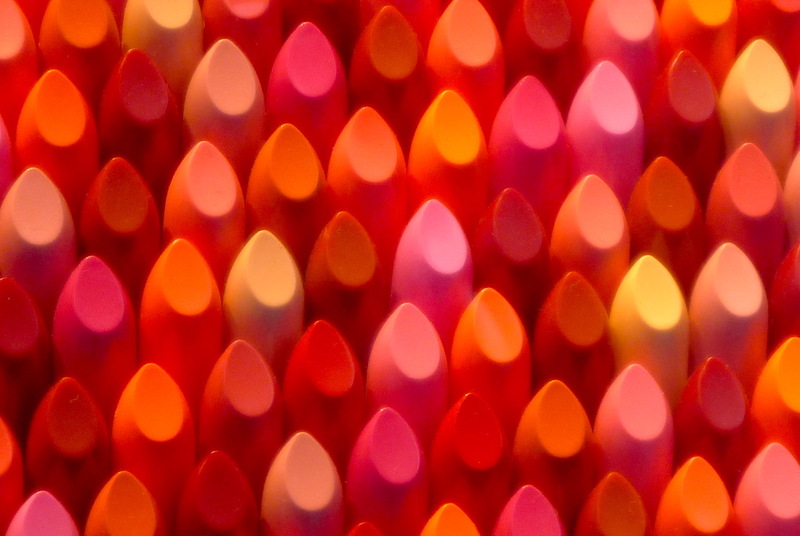 If you spend less money on beauty products, you’ll have more money to spend on other things. Shop smarter, save more and look fabulous while you do it. Your Turn: How do you save on beauty supplies? Angie Nelson is a beauty product junkie who believes every woman deserves to look and feel good — regardless of your budget! Connect with her on MyBeautyBoxReview.com.